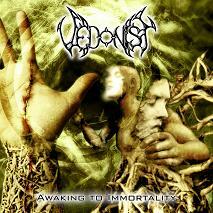 VEDONIST was formed in May 2002 by brothers Gerhalt (guitar) and Schröder (drums). Ten months later, in February 2003, band recorded its first demo called "The First Scream", which met with good perception in underground and which was later released by Polish label OLD TEMPLE (on the split with demo material of thrash metal band Brainwashed). In October 2003 and in May 2004 VEDONIST became the headliner of the two tours around Poland (it was supported by popular in underground bands: Serpentia, NeWBReeD and Naumachia). 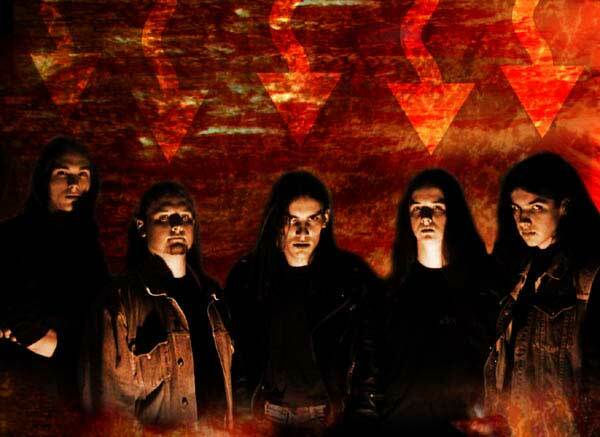 After some changes in line-up band prepared 8 new songs and in February 2005 started the 200-hours-recording-session of its first full-length album called "Awaking To Immortality" (mastering by Piwkowski, who was working on Vader albums). In December 2005 VEDONIST signed a deal with Asian label TRINITY RECORDS HONG KONG.